Greenleaf Book Group Press, 9781608324248, 447pp. ​Marnie Taylor, a twin who was abducted the day she was born and reunited with her family eight years later, is now about to turn sixteen. She is rebellious--fighting often with her mother, Ashleigh--and jealous of her more even-tempered and popular twin sister, Callie. Lonely, Marnie finds a compassionate listener in Brad, whom she meets online. Spinning a web of lies to throw her parents off, Marnie arranges an in-person meet-up with Brad. But she realizes too late that she has been targeted in a sinister scheme for ransom. 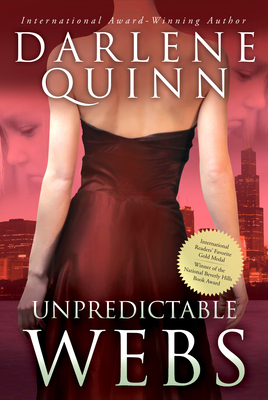 Quinn's vivid cast of characters returns in this high-tension, stand-alone sequel. Though their actions are plausible, none of them behaves as others might predict in this tale that discloses the darker behaviors people are capable of. Cougar Viviana De Mornay takes Chicago's fashion world and "Italian Stallion" Gino Cabello by storm. Tony Wainwright, who has paid his dues for a past crime and appears to have turned his life around, is catapulted to the top of the list of suspects. PI Ross Pocino is on the scene with his surprising insights into criminal behavior, and Paige Toddman's mother, Helen, seems to grow younger every day. While some mothers can unintentionally do unspeakable harm to their children, Ashleigh's steel-magnolia efforts to wrest her daughter from her captor redeem the sacredness of that role. Darlene Quinn, an international award-winning author and speaker, was a member of the management team for the Bullocks Wilshire specialty department store during a period of dynamic upheaval. Along with page-turning suspense, readers are given an insider's perspective on the world of fashion and retail across the nation.Webs of Power and Twisted Webs both won the National Indie Excellence Award for General Fiction and were finalists in the USA National Best Book Award for General Fiction. Twisted Webs was also the winner of the 2011 International Book Awards for fiction and literature. Webs of Fate was the 2011 winner of the Readers Favorite Award in the general fiction category. Darlene lives in Long Beach, California, with her husband, Jack.